All children ages 4-10 and their families are invited to come dressed in their best attire and have some fun at The Mad Hatter’s Tea Party. 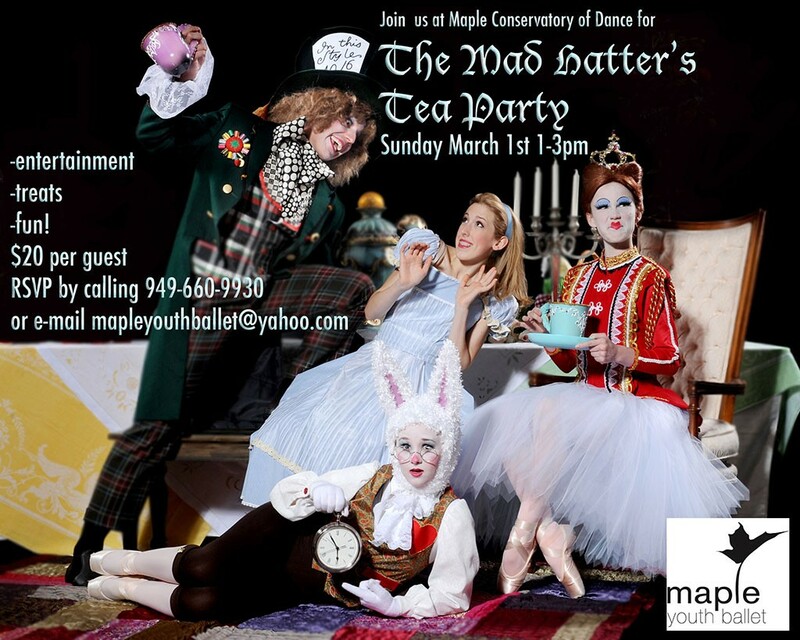 Our guests at the event will enjoy yummy treats, crafts, photos with Alice, The Mad Hatter and The White Rabbit plus performance excerpts from by Maple Youth Ballet’s upcoming production of Alice in Wonderland. Tickets for The Mad Hatter’s Tea are only $20 per person.